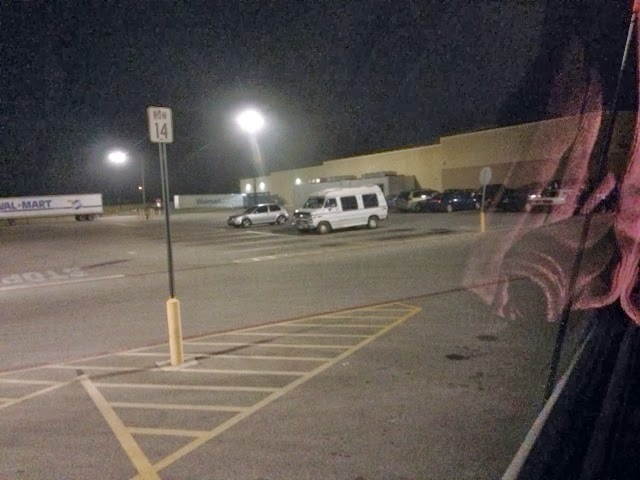 I awoke at 4 am and found that many trucks and another camper van like mine made home with me at Walmart regardless of the no trucks signs. It was chilly overnight with the temp in the camper down to 52 but I had decided not to turn the heat on until I get up. It was warm under the covers. 52 is well above the 40 degrees one night at Brent's house. Some truckers that parked and slept for a few hours also did some overnight shopping before leaving. I was out of the parking lot by 7 am and on my way. I did make a change of plans when I woke. There was a lot of fog and it wouldn't burn off until 10 am. I also found out that even though it would be a warm day in the 70's overnight a cold front would be coming down and dropping temps in San Antonio by am in the 40's and 30's in the hills section of the state. The hill section is where I would be driving Monday am and there was the chance of slippery spots. So I took San Antonio off my list for this trip and headed on back roads to Austin where I would take back roads over to pick up I10 further out. This would give me some senery at least. Toy surprise I came across LBJ's ranch. There is a combined State Park outside the ranch and the ranch is a National Historical Park. 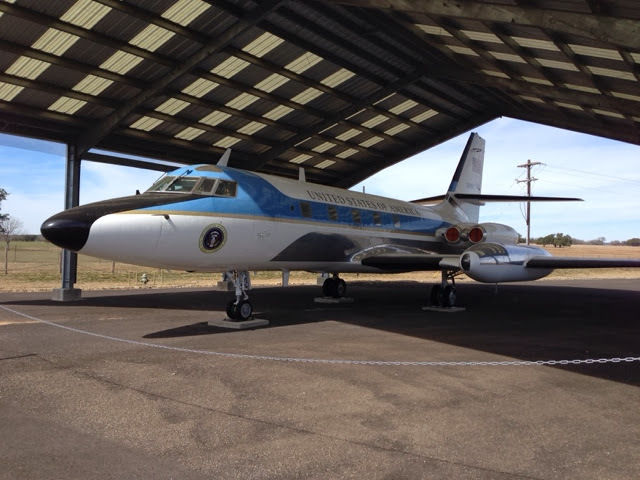 The State Park has a collection of LBJ items and some history and also a working farm that was LBJ's neighbors house. 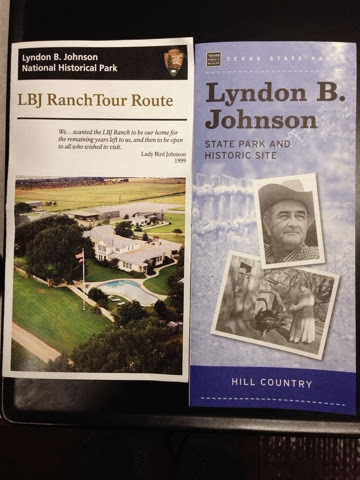 You need to check in at the state park and get the pass for the LBJ Ranch. After a tour around the property I headed out wanting to get to FT Stockton about 220 miles before El Paso. TX is a wide state being 900 miles from The LA boarder to The NM boarder. The trip west of San Antonio is very boring with large distances between exits and the need to plan getting gas. I arrived in FT Stockton about 4pm with 80 degrees and had thought about staying at Walmart again but changed my mind and went to a campground that is $15 per night with electricity, water, sewer, & cable TV. I settled in and cooked dinner. I can't get cable TV as my camper doesn't have external wire connection to the TV. I am now well ahead of schedule for the show in Phoenix on Thirsday. I will check out El Paso tomorrow and figure where I will stay later. Any plans on adding an external coax connection to get cable at future camp grounds? Brent, check post Day 31 for answer. It just so happens I was addressing your very question today.